Asian, African, or South American, vegan or primal, whole foods or highly processed, food is the basic need that brings us all together. 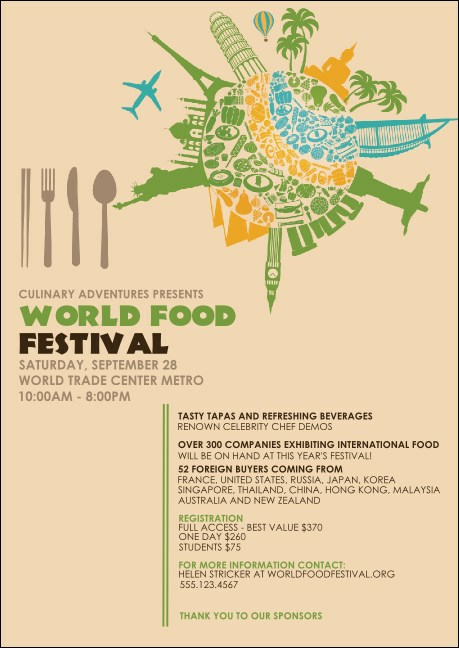 Bring all your guests together to share in the tastiest of communities when you choose this Food Festival Postcard to advertise your upcoming gathering of flavors from around the world. TicketPrinting.com offers some delicious pre-event publicity.